At last, central banking and legal tender are once again subject to real political debate and public scrutiny. In what seems to me to have been an unlikely turn of events, Congressman Ron Paul of Texas has been appointed to chair the House Subcommittee for Monetary Policy in the new Congress. In one sense this seems like very good news, on the other hand, it raises some serious questions about the oligarchy’s ultimate game plan. Still, I strongly recommend that everyone watch the following C-span interview in which Congressman Paul outlines his agenda. It does not go as far as it needs to, but it is an agenda that I, for the most part, endorse. According to Brendan Trainor, Rep. Paul in this interview makes the following points. I have highlighted what I consider to be the most urgent and important ones (in red). Ron will start by requesting the information that is now due from the Fed from the watered down version of the “Audit the Fed” bill that was passed by Congress. Ron will submit his more robust version of the Bill to Audit the Fed in Congress again. an atmosphere of “law and order, NOT regulation“. Market regulation through “law and order” means that banks and financial institutions are subject only to ordinary business law: That is, they are free to operate as they please, but they must fulfill their contracts and must not engage in fraud. If they cannot fulfill their contracts, they are to be shut down, not bailed out. Their assets are to be distributed to their creditors (bankruptcy). The surest way to END THE FED is the peaceful, gradual method of eliminating, not the FED directly, but legal tender laws. Allow people once more to use GOLD CONTRACTS and other means of using alternative currencies and specie in domestic business contracts. 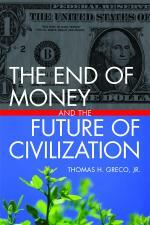 Let the fiat paper dollar compete with the people’s choice: constitutional “honest money”. There were numerous financial panics before the FED was created. Yes, there were. But those panics were the result of “artificial conditions” and in any event were allowed to play themselves out by liquidation of the bad debts and bad contracts without government interventions up to the recession of 1920-21. That was the last recession that was handled without government intervention. It was a sharp recession, where unemployment reached nearly 20%. However, because President Warren G Harding did NOTHING, except cut government spending and taxes, the recession was OVER IN A YEAR. If the FED does not intervene, the Recessions will be worse. The corollary of the first objection. Yes, the recessions may at times be worse, but they will be shorter. The so called “Panics” of the pre Fed era rarely lasted more than a year or two, and then the economy fully recovered. The interventionist policies starting with the Great Depression ( a ten year depression) and this one now only prolong the recessions, and in the end, the underlying causes are NOT addressed, leading to a new “BUSINESS CYCLE”. Attacking the FED will harm the US DOLLAR hegemony. Ron: I want to protect the dollar, but within the context of markets. Markets are ultimately stronger than the central banks attempts to shore up the dollar, and nothing the central banks can do will overcome that fact. The Market, in the end, will out. Fiscal policy (Congress) is more important than Monetary policy (the Fed) Ron: they work hand in glove. The Fed basically enables the Congress to spend exorbitantly by creating fiat money to cover them. We have to end the Wars and Global Empire, and we have to end the limitless welfare state as well. IOW, we do have to address fiscal policy, but at the same time, address its enabler, the FED. Definitely a radical agenda, led by a peace loving man. Let us all work to explain his ideas as this year’s economic policy drama unfolds. The attacks from the left and the RINO Republican establishment will be vicious and loud. Those of us who understand the monetary debate are few and our voices have few MSM outlets . Even monetarist libertarians will attack Ron. We must resist them to the best of our abilities, by explaining his policies whenever we can. [Another major blind spot is the size and market dominance of firms like Goldman Sachs, Citicorp, J.P. Morgan Chase, Bank of America, etc. Government needs to set the rules of the game to prevent such megalithic financial firms from emerging and manipulating markets. At the very least the Glass-Steagall law should be reinstituted. It also needs to pass legislation that encourages the development of mutual companies and cooperatives in the financial sector. That would be a complete reversal of the policies of recent decades.] — t.h.g. This entry was posted in Banking, Finance and Economics, The Political Money System and tagged audit, bailout, Federal Reserve, Ron Paul. Bookmark the permalink. Interesting read. After having watched some of the numerous videos of Ron Paul, I was having the following question. However I could not find an email address to send it to Mr. Paul directly. dominate the market and subsequently abuse their powers to manipulate markets and politics. – is their a role for a central body (government) to protect our society against this? If so, what would that role be? – do you think a free market can exist when domintated by very large corporations?